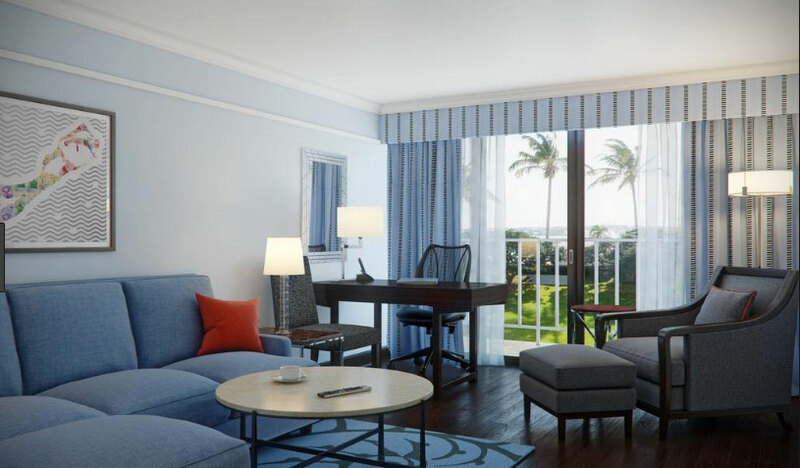 Limited Edition Print Edition – The Princess Hamilton Hotel Bermuda. Special commission to produce an exclusive limited edition print for the hotel. Commission to produce a limited edition print as part of the refurbishment of the hotel to be hung in the guest suites. 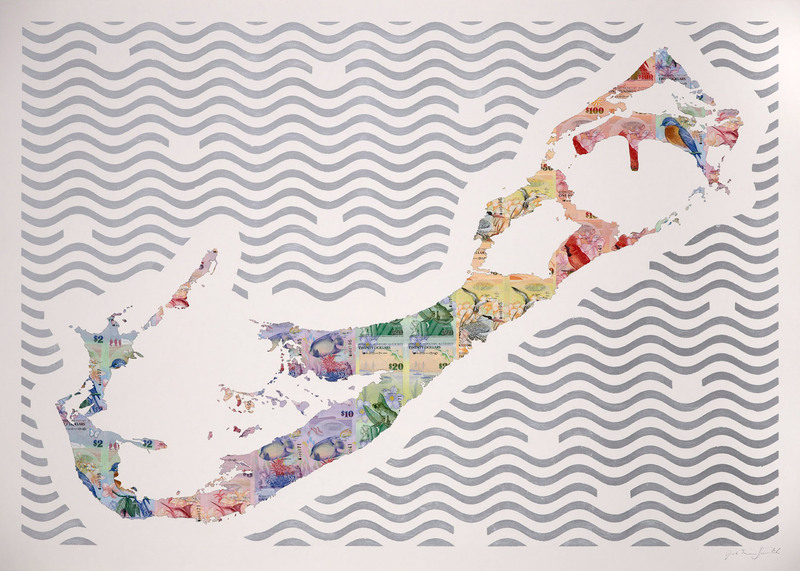 The map was made first as a collage of banknotes on paper, using the newly redesigned Bermudian Banknotes. 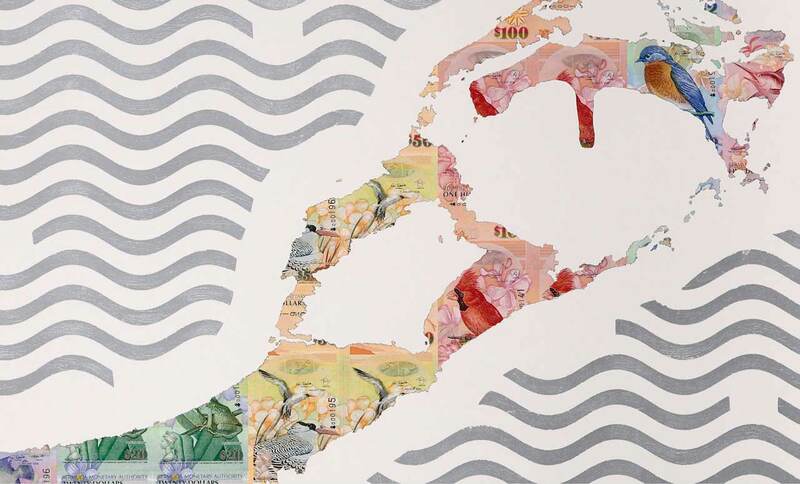 This was then made into an edition for the hotel, with each print being hand gilded with metal leaf to create the “silver sea”, the inspiration for which came from a detail on the banknotes themselves.